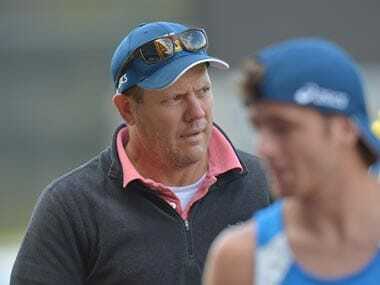 Bengaluru: Newly-appointed hockey coach Sjoerd Marijne says the upcoming Asia Cup will be a fresh start for him as well as for the senior Indian men's team. Marijne, who replaced legendary Roelant Oltmans recently, feels next month's Asia Cup, to be held in Dhaka, will give him a fair bit of idea about what needs to done in the next 15 months, which will witness some high-profile tournaments like the Hockey World League Final, Asian Games, Commonwealth Games and the World Cup. "The Hero Asia Cup 2017 is a fresh start not just for me but also for the team who are mentally prepared to return home with the title," Marijne said. "There is a difference between training sessions and playing tournament matches. While I am convinced with the efforts the team puts in training, the Hero Asia Cup is where I will get to see how the team reacts in match situations and where we are lacking and need immediate improvement," he added. At the national camp that is underway in Sports Authority of India centre, it is usual sight for the senior players like Sardar Singh, SV Sunil and skipper Manpreet Singh to stay back after every training session to give their feedback to Marijen, who has never coached a senior men's international team prior to his current assignment. This exercise is a part of the team's new mantra – "player-driven and coach-assisted process" where seniors are expected to give their critical analysis on specific areas of the game. "I believe this process initiated by the Hockey India and the high performance director David John will help bring a better understanding on how the team wants to play. "My first few days with the team has been about understanding each one of them. Of course, I already know all of them by name and I was aware of the immense talent and energy they bring as players," Marijne said. 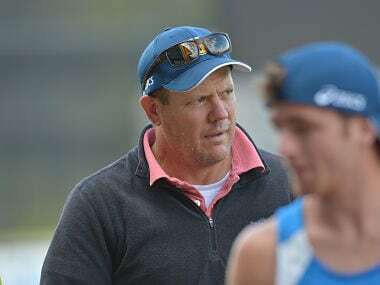 "I am now focusing on understanding how the team wants to play so I can set goals for the training sessions on where they want to improve," the coach said after officially taking charge of the team last week. "It takes time for the junior players to get to the level of the seniors and that requires good match exposure to reach that level. But what I like is the internal competition. 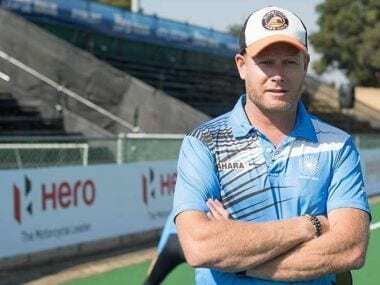 "The junior players are pushing the seniors for a spot in the team and I believe it will work for the best," said the Dutchman, who was the coach of the Indian women's team before taking up his current role. India have been placed in Pool A in the Asia Cup and will open their campaign against Japan on 11 October before taking on hosts Bangladesh on 13 October followed mouth-watering clash against arch-rivals Pakistan on 15 October.